I apply for the Amazon Prime Reward Credit Card. I'm approved for the Amazon Prime Reward Credit Card for $10,000. I setup auto-pay at Chase.com for the Amazon Prime Reward Credit Card. I make purchase at Amazon.com and other online retailers with the Amazon Prime Reward Credit Card. 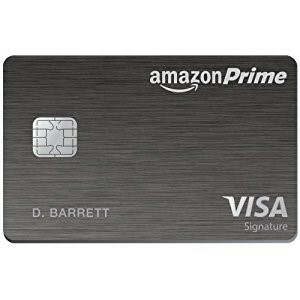 Approximately 2 months later (before first auto-pay), Chase closes the Amazon Prime Reward Credit Card. We're writing to let you know that we will be closing your credit card account on because continuing the relationship creates possible reputational risk to our company. This sequence of events wouldn't bother me very much, except that I have never been late for a payment and always pay the bill in full. Right when I got the letter, I called Chase customer service and they were unable to provide a reason. Amazon.com: Customer Discussions: Amazon Chase Card closed my account????!!!!!! The only reason I can fathom that Chase close my credit card account is they determined I'm not a profitable account. Since I always pay my bills on time and never carry a balance, Chase is unable to make money off of interest or late fees. And at the end of the day, JP Morgan Chase is a for-profit business. Personal Risks: Does having an credit card account open/closed hurt my credit score? So this may not be that big a deal for me, as I still have very good credit. But the question for me (and anybody considering opening a credit card with Chase (with or without Amazon Rewards) is if this happens to you, is it detrimental to my (or your) credit score? I believe the general consensus is that closing credit card accounts is bad for your credit score. It's generally better just to leave the card open. When I asked this question to the Chase customer service representative, he couldn't give me a specific reason for why my account was closed. Though he someone "claimed" this event won't impact my credit score. From Chase's point of view, they had every right to close my account for any reason. But just because they have that right doesn't mean they should do it. Especially when it's for no reason at all. It's dis-tasteful and as a consumer, I will never consider a JP Morgan Chase product ever again and will forewarn friends and family considering a Chase credit card. Thankfully a credit card consumer, I have many choices. I've generally been fairly happy with my credit union credit card, which is a big reason why I haven't changed credit card providers. So far, things have been good with my Citi Double Cash Back Credit Card. In this situation, even though Amazon.com did nothing wrong, they are still partnered with Chase for their reward card. The fact that Amazon allows this to happen (given all the stories I read online) amazes me. Never have we had an issue with our Visa (previous American Express) credit card with Costco. In fact, Costco always goes above and beyond in customer service. The fact that Amazon was offering a credit card that offers cash back actually got me considering cancelling our Costco membership in favor of making all our purchases online. But if Amazon cannot maintain a stable rewards program for all their members (even the ones that pay all their bills on time and in full), then I have no choice but to remain a Costco member. There obviously isn't much I can do to contest, but I will tell my story. I would have loved making 5% cash back on my purchases with Amazon and always pay my bills, but it looks like this isn't happening. Regardless, I still plan on buying at Amazon, but will never consider a Chase product (credit card, checking account, saving account, home mortgage, etc) in the future. Chase has made it painfully clear how they perceive me as their customer.